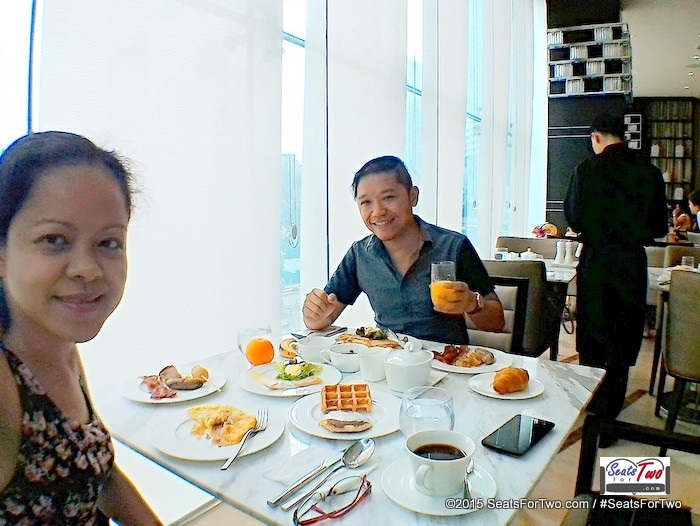 We celebrated our 3rd wedding anniversary, a bit early this year, with a staycation at a hotel in Bonifacio Global City – in Ascott BGC. 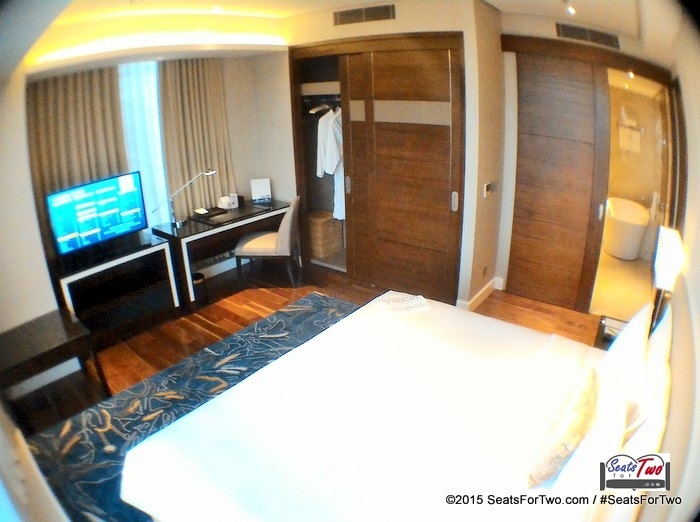 This Ascott hotel at the Fort is actually a serviced residence. 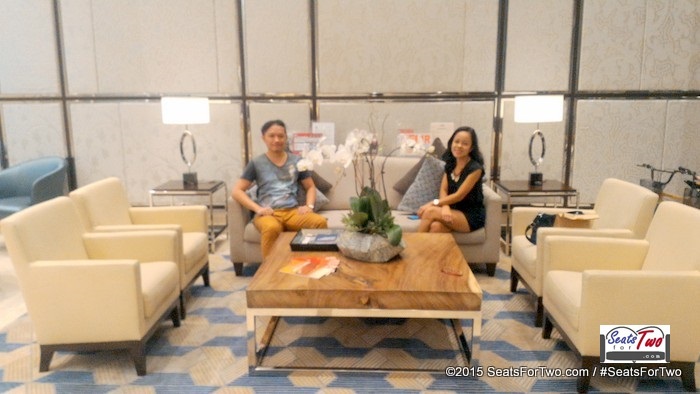 Ascott BGC has piqued our interest as a couple since a few years ago from their elegant reception / lobby to their business conference rooms on the 5th floor which we have frequented for a number of product launches. However, we haven’t had the chance to see the rooms with our own eyes; only through website catalogues. And so we decided to take on the chance and spent the weekend a week ahead of our anniversary at the posh hotel. 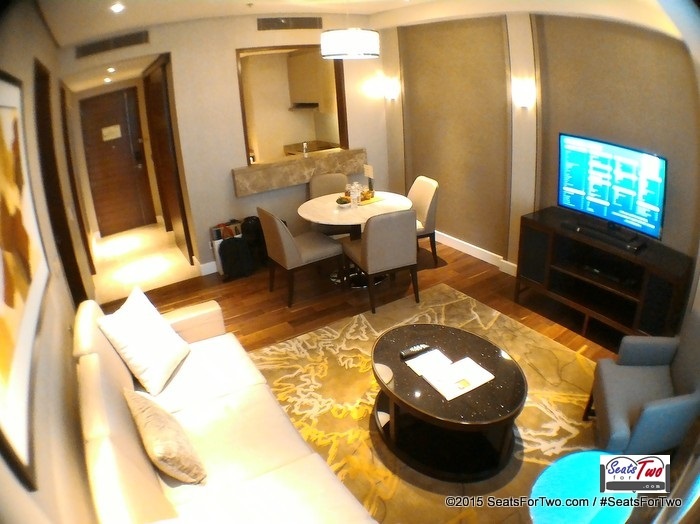 From the lobby, we were warmly welcomed by the staff and served us some house iced-tea while waiting for our turn and 1-bedroom premiere room to be ready. 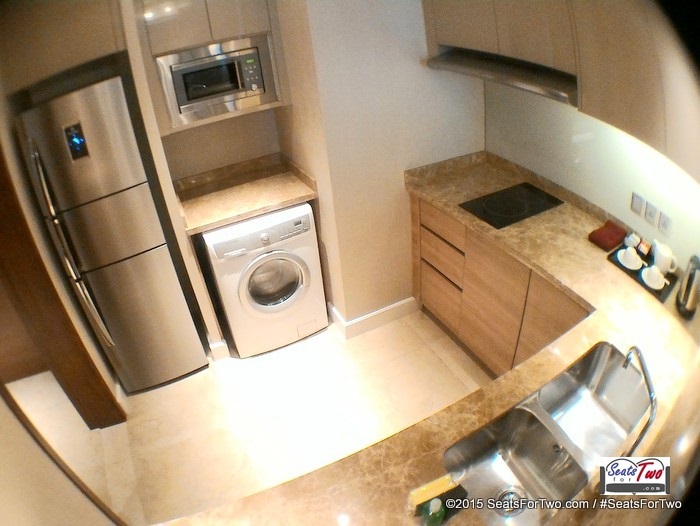 We priorly requested for the upper floors to have a good view of the nearby Bonifacio High Street and the cityscape of BGC. The luxurious hotel room has everything one might need – modern and fully furnished kitchen, spacious living room with flat screen LED TV complete with home theater, cable channels, a round dining table, and extra chairs for guest. 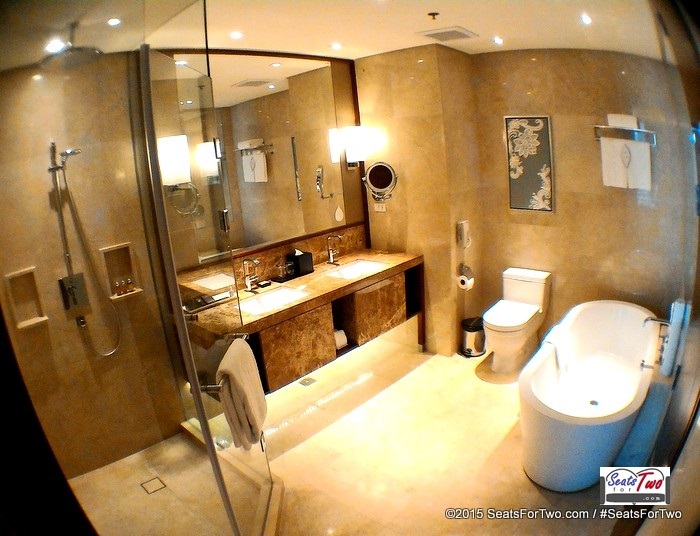 There are two doors on the left side, one leads to the bedroom and the other to the bathroom. 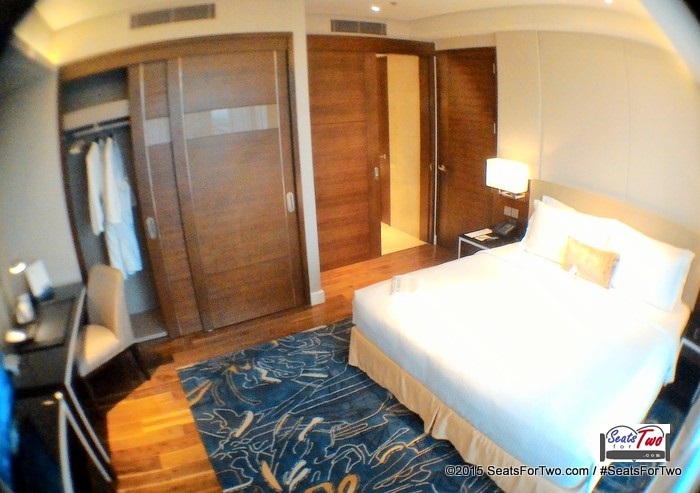 The second door leads to the bedroom. The king-sized bed actually seemed too big for us because we usually cuddle together in bed. 🙂 The bed is comfortable, not hard but not too soft either. The blue carpet was a stand-out in color but its artisitc design was refreshing. There are two air conditioners, one in the living room and the other at the bedroom. The stylish wooden sliding door cabinet added to its space-saving interiors. The work station was also a welcome space for our work-related and blogger tasks. 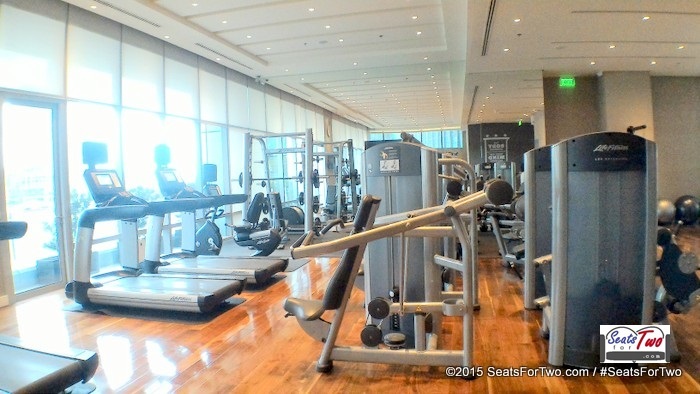 Situated at the heart of Bonifacio Global City, there are numerous options and different activities to do while vacationing at Ascott BGC. 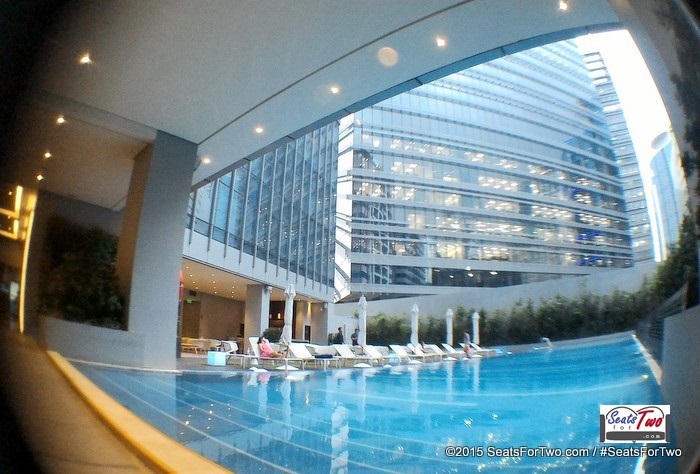 Anyone can enjoy a leisure walk along Bonifacio High Street and do some shopping. If you’re in for gustatory adventure, then go restaurant-hopping or enjoy an afternoon high tea at TWG at Central Square. If you are looking for a healthy or an organic fare, there are a couple of restaurants serving such dishes like the Wholesome Table. Children would have a great time visiting some of BGC‘s newest attractions – the Kidzania, the Mind Museum, or the a quick peek at the Lego Store. But if you’re lazy to go out, ALTA Restaurant is open all day for some tasty snacks or heavy meals. 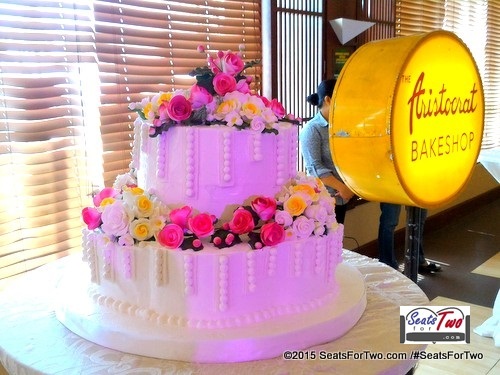 It’s owned by the award-winning Chef Margarita Fores. 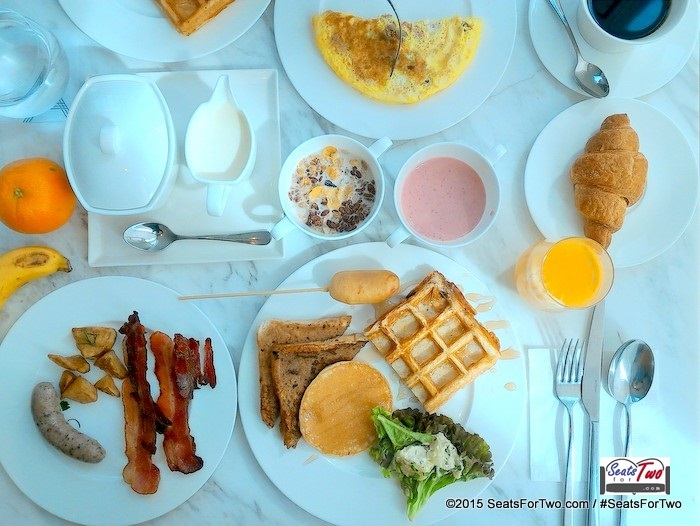 We had our fill of breakfast favorites from the buffet spread such as bacon, waffle, ham, sausages and some bread. Mr. and Mrs. Seats For Two loved the sliced kiwi with freshly squeezed orange juice and cinnamon cappuccino, respectively. Immediately after breakfast, we went to the swimming pool area for a dip. The beach beds and umbrellas, with the pool as backfrop, is truly instagram-worthy! 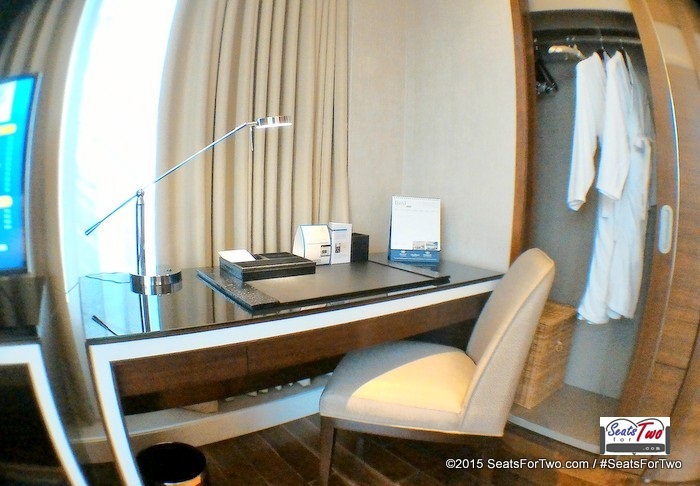 Overall, it was a wonderful city staycation at Ascott BGC. Good morning from Seats For Two! 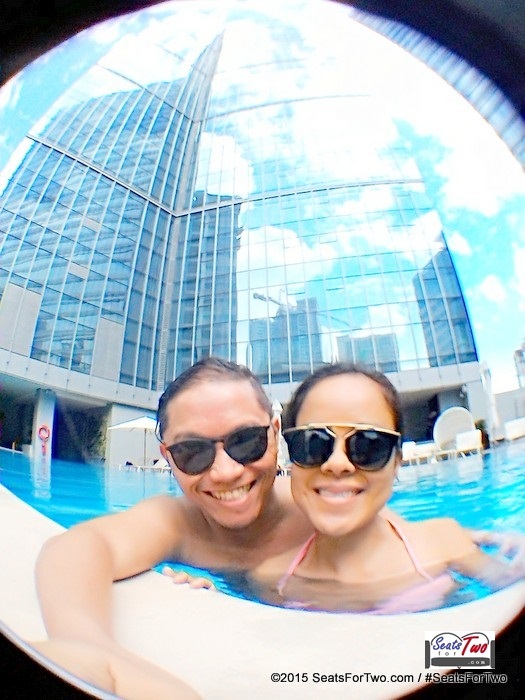 Indeed, married couples like us deserves some vacation away from home every now and then. 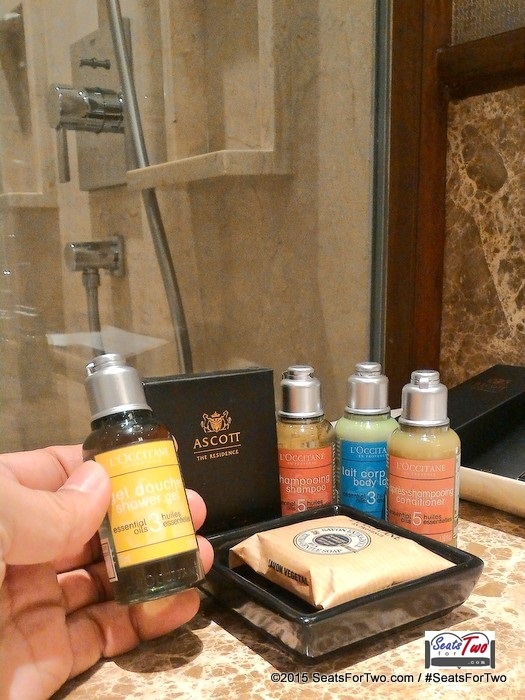 It was a pleasant stay at the serviced residences of Ascott BGC. 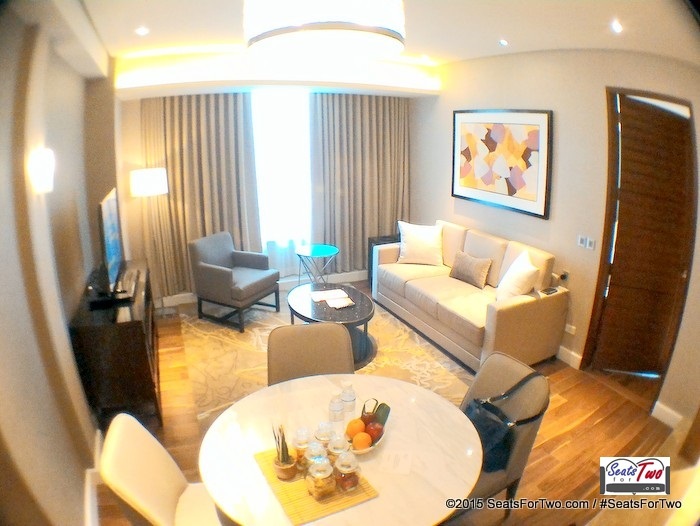 How much is the daily rate of Ascott BGC?